Expanding Limits: We are a force with no boundaries, rising above customer expectations while creating a visionary future. Our vision and goal is to build strong partnerships based on trust (The Trusted Builder), always focusing on the customer and ways to provide greater value to fulfil their needs. It is with great pleasure that I welcome you to the new website of WHESSOE ENGINEERING LIMITED. In 1845, the Derwent Locomotive was designed and built for the Stockton & Darlington Railway at a cost of £1,160. It has been restored and rests in Darlington Railway Museum. Business expanded to include structural steel, cranes and simple gas works processing plants. In 1891, Whessoe Foundry Company Limited was formed with business now concentrated in the growing gas and petroleum industry. The first order was for a 3 million cubic feet gas holder at Gateshead. Further gas holders and associated plants were built in Australia & New Zealand, France, Canada and Denmark. In 1963, Whessoe designed and built the world’s first LNG import terminal at Canvey Island. From the 1990s to 2010s, operating worldwide and specialising in refrigerated and pressurised liquid gas storage facilities from concept through to commissioning, Whessoe expands and wins numerous major projects in the Middle East, Europe and India. 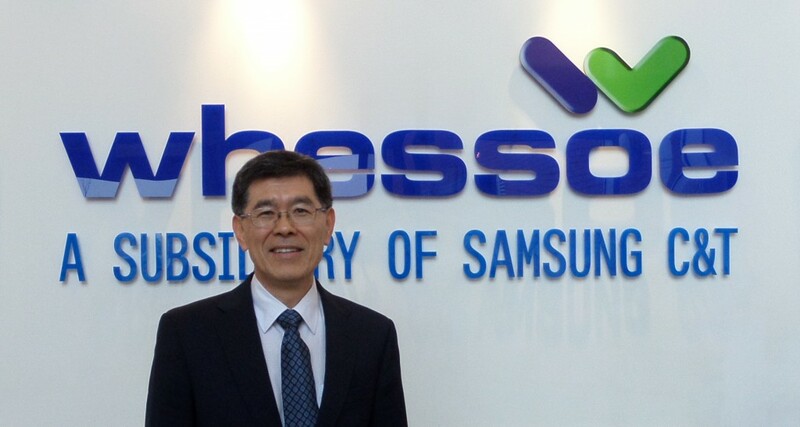 Since 2013, Whessoe Engineering Limited has been part of the Samsung C&T family and operating as its subsidiary. Whessoe is a market leader in designing and building Cryogenic Storage and Handling facilities. Committed to fulfilling customer needs, we offer cutting edge design and engineering expertise based on a continuous experience in the Hydrocarbon and Petrochemical Industries and accredited to build the World’s largest LNG Tanks. I would like at this time to invite you to visit our new Whessoe Engineering Limited website pages to find out more about our Company and what we do and to explore our detailed portfolio. I wish for our renewed website to serve as an effective and functional channel of communication between us and our customers and to confirm that we will spare no efforts in listening to your voices and repaying your trust by delivering new and greater values. Whessoe Engineering Limited, who are proud to be part of Samsung C&T’s engineering and construction group, will continue to explore new markets, diversify its portfolio, and invest heavily in human resources to emerge as a total solutions provider and to ultimately achieve its aim to become the NUMBER 1 Global Engineering and Construction Leader. Thank you for your interest and support in our Company – WHESSOE ENGINEERING LIMITED.